Ven. 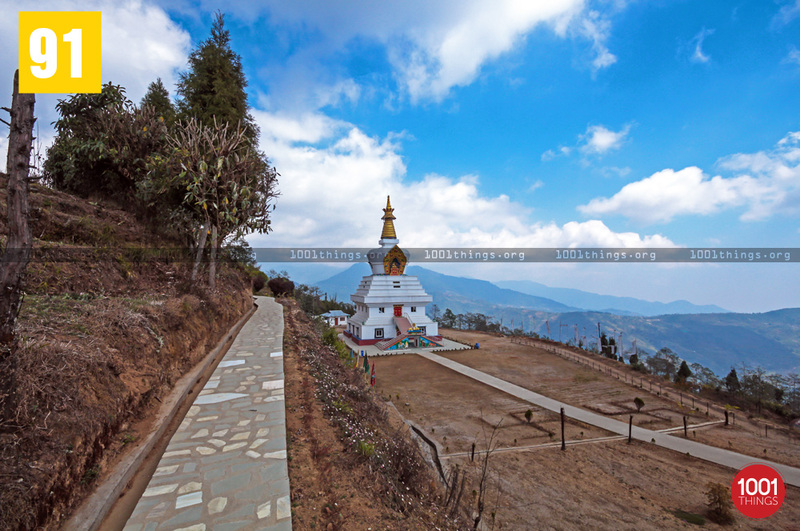 Lama Ngawang Shedup, built the old temple called Gompa Dara in 1968 with a vision for the Dharma to be established and to benefit the people in the area of Lava, Kalimpong. Great masters such as HH the Dalai Lama, HH Dudjom Rinpoche, HH Dilgo Khyentse Rinpoche and many others have since visited and blessed this precious and sacred place. HH Mindrolling Trichen also spent time at the old temple, blessing it and the entire land. In the early seventies, after a visit to the temple HH Dudjom Rinpoche prophesied that Dharma would flourish in this location. HE Khochhen Rinpoche whose tireless activities and efforts have blessed the entire land and established the Dharma at Ugyen Mindrol Samten Ling Monastery. It is Rinpoche’s vision and efforts that has made possible the building of this great Stupa, school and hospital in Lava. In 1994, the late Lama Ngawang Shedup offered the temple to Mindrolling and at that time it was renamed Ugyen Mindrol Samten Ling Monastery. 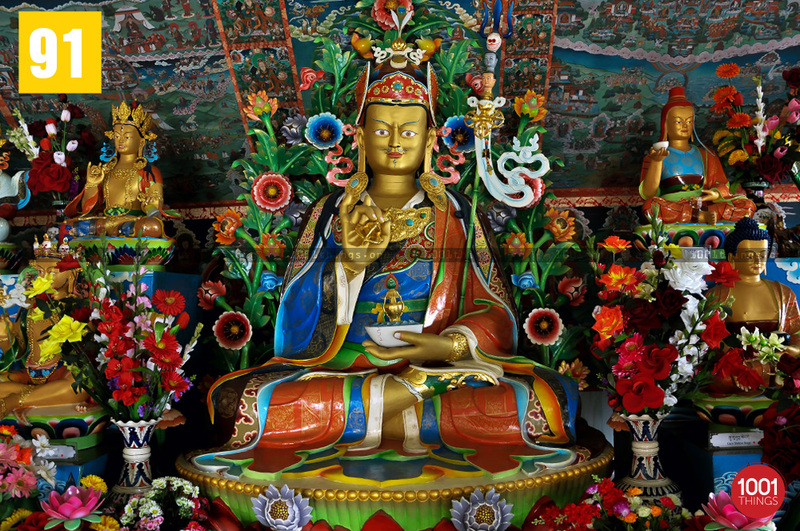 HE Khochhen Rinpoche, through his great kindness and vast vision began the expansion from a small temple into a fully contained monastery with quarters for the growing monastic sangha, the Buddha Statue and eventually the Great Stupa That Liberates Upon Seeing. 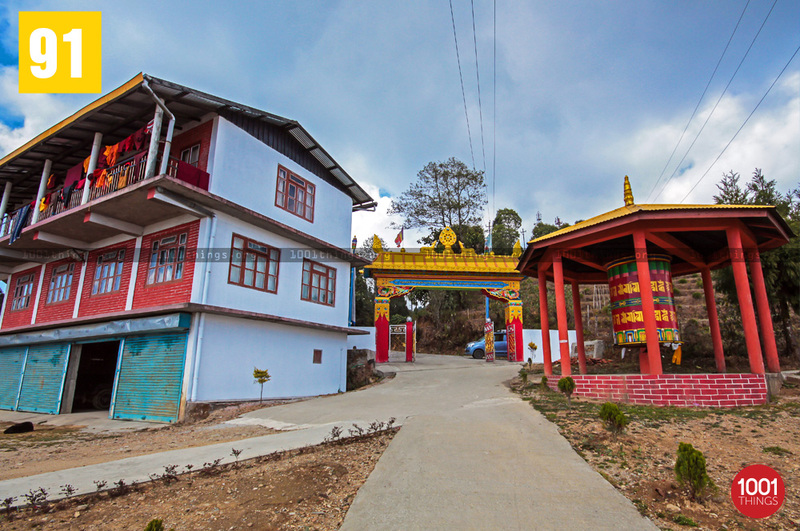 Since the area is quite remote and the local people previously had no resources or access to education and health care, HE Khochhen Rinpoche also built a hospital and a school in order to benefit hundreds living in this area. Countless beings are benefitting and receiving the blessings of Rinpoche’s activities and tireless effort in boundless ways. 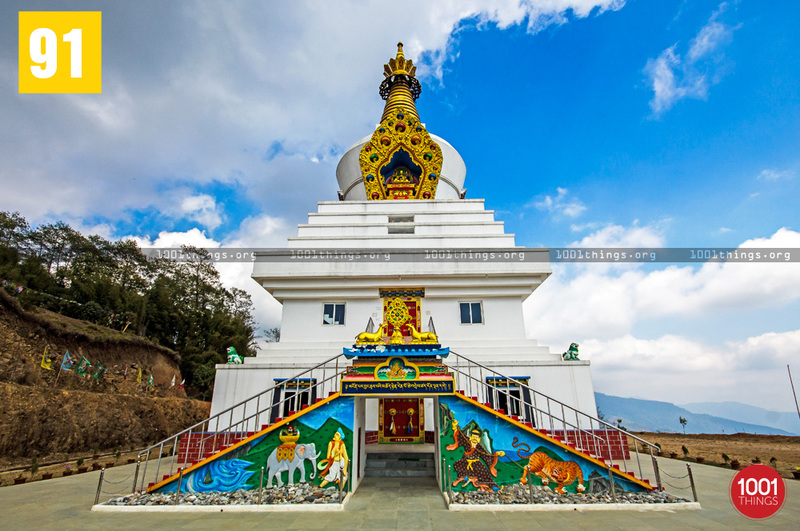 The initial construction of the Stupa began in 2011 under the direction and guidance of HE Khochhen Rinpoche and was made possible with the generosity of kind benefactors. 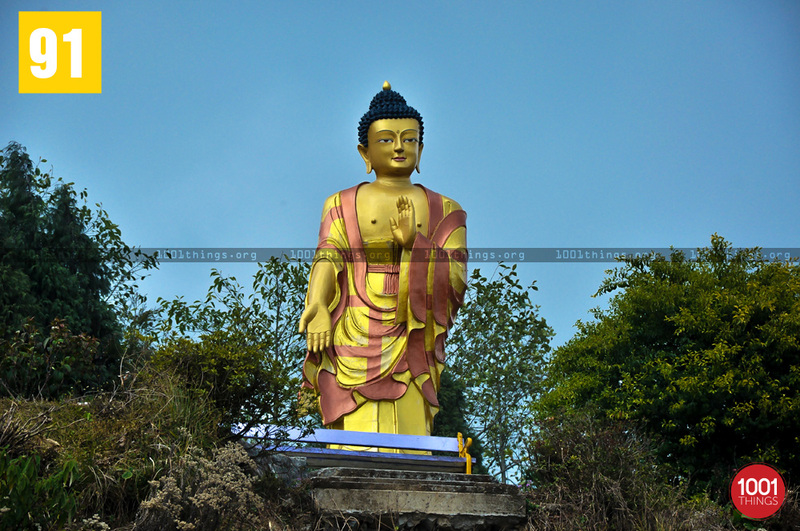 The completed Stupa That Liberates Upon Seeing at Ugyen Mindrolling Samten in Lava, Kalimpong. 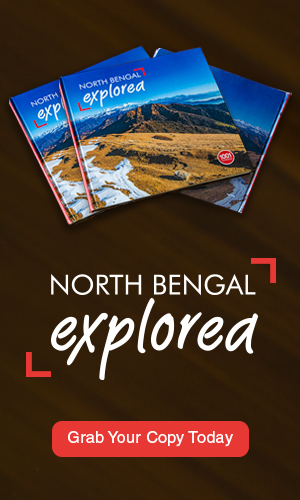 was inaugurated on 3rd May 20014, many rinpoches, tulkus and hundreds of monks, nuns and lay people attended numerous ceremonies and celebrations during the ten-day event.